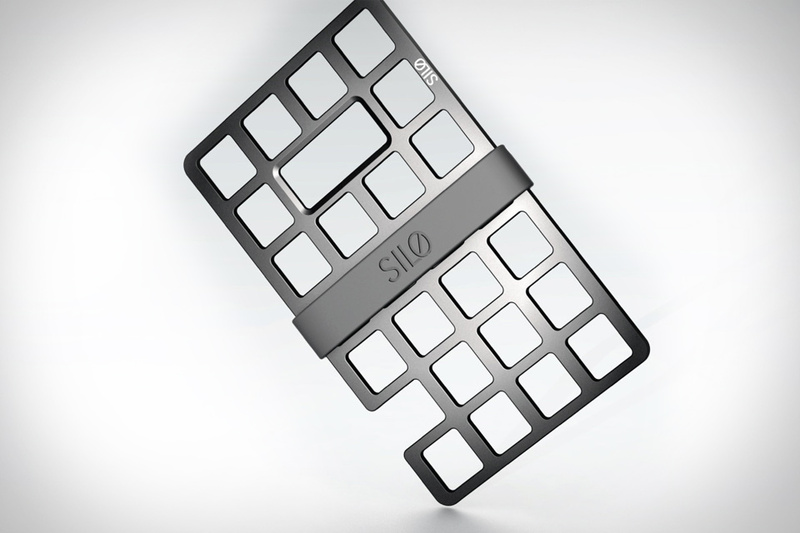 Fans of keeping their every day carry slim and low profile are going to find a lot to love in the Silo Mesh Card ($40). Made to keep your back pocket as unencumbered as possible, this small titanium card comes with a removable silicone band that's perfect for grasping all the cards and cash you need for a night out. Its mesh design is made for function, as well as form, letting it double as an iPhone stand and a bottle opener. Add to that the fact that keeping it in your pocket protects your credit card details from RFID theft, and you get a pretty versatile little addition to your pocket. As much as we like to stick to small, front-pocket wallets, sometimes — especially when traveling — our go-to wallets simply don't hold as much as we need. For times like those, the Tanner Goods Travel Wallet ($95) is an ideal choice. Available in a range of finishes, this leather wallet offers slots for your passport, a notebook, currency, plane tickets, and slots for cards and IDs, and is burnished, dyed, waxed, and stamped by hand. Rethink the way you carry with the Machine Era Wallet ($28-$45). Machined from a solid piece of metal — either aluminum or brass — they keep all your stuff in place with an elastic band. At just a quarter inch of thickness, they barely make a dent in your pocket (but, don't think that means they sacrifice durability). The aluminum wallet comes in a flat black finish, and is the cheaper and lighter of the two. The brass wallet is heavier, and comes unfinished, allowing the metal to age to a nice patina. Both are manufactured right here in the USA. Zippo knows an awful lot about making metal things that go in your pockets, so when we heard they were working on a wallet, we were rightly intrigued. The Zippo Stainless Steel Wallet ($50) looks great and does double duty as a tin foil hat, using its stainless steel outer shell to protect against RF theft. It also features a flexible polymer body, six credit card slots, an ID window, and a money pocket. At 1 cm thick, it's right on the border of being front pocketable, so we'll leave that decision up to you. A front-pocket wallet won't do you much good if the rest of your pants' storage is taken up by an enormous bulge of keys. 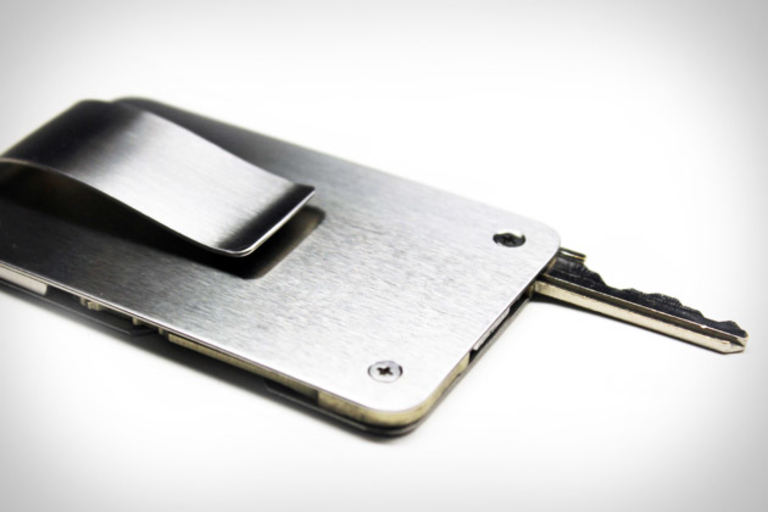 The Keylet ($55) solves this problem by combining hiding two keys inside a thin, brushed stainless steel money clip with an aluminum core, combining the things you carry most in a sleek, lightweight package. If your tend to carry more than two keys, spring an extra $30 for the matching Key Caddy, which gives you four more door-opening, car-operating implements. We typically like our wallets to be as thin as possible — all the better for front pocket use — but we'll happily make an exception for these Slim Timber Wood Wallets ($45). Crafted from single pieces of maple or walnut, they are sized just right to carry credit, business, and ID cards, as well as a little cash, depending on how many cards you carry. Proudly crafted in the U.S.A.